You might have heard of a particular company called Escape, which aims to play its part in solving accommodation problems by building small, tiny houses. 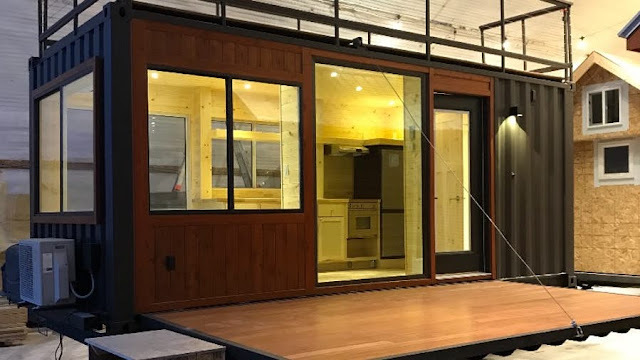 Well it has released a new model of an house it developed called the Vista C.
Now the Vista C has dimensions of 20 ft (6 m)-long and 8 ft (2.4 m)-wide. 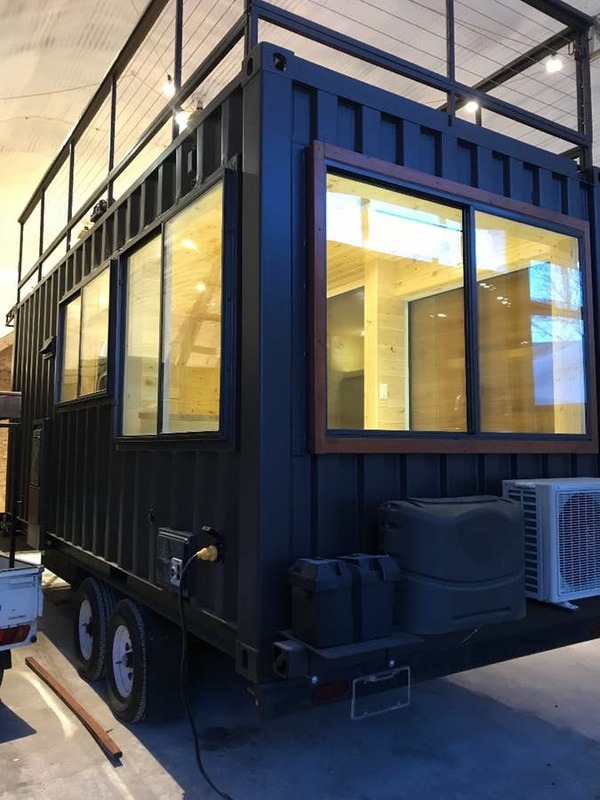 It can be attached to trailers, or even situated in a permanent location for those who don't want to move around too much. The Vista C can look like a normal place of above as it can be painted into any colour that you want. It also possess the standard Sink, Shower and Toilet. The Toilet though has 3 different configurations, composting, dry-flush or standard. But what makes the Vista C special are its optional features. Examples are it has a ladder which enables you access the top of the Vista C which you can use as a relaxation centre, it also possess a wooden deck which can be electronically reduced or increased height wise. It also has kitchenette with full-size fridge, cooker, sink, storage space and butcher block countertops, and a daybird with storage for personal belongings eg clothes. The space is roughly divided between bedroom area and living area. The Vista C was designed to be more of secondary home or weekend cabin, rather than a full-time residence.